The BlackBerry PlayBook is definitely the hottest thing around, and it’s the second big tech news we have today, after the launch of Firefox 4. Pre orders for the gadget are already available, and you can order the tablet via best buy. 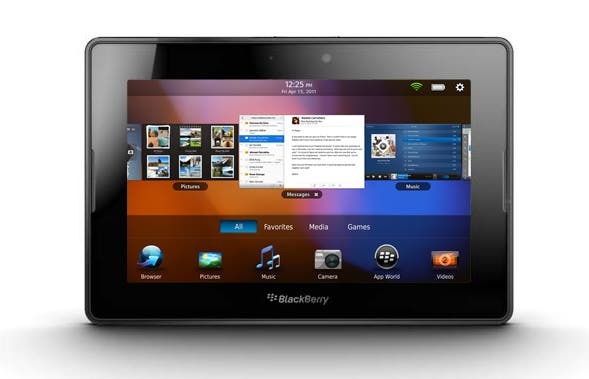 The BlackBerry PlayBook is also one of the major reasons why it’s very likely for the iPAD 2 to be not nearly as successful as the first one, as it promises to come with a variety of improvements, as well as an almost accessible price. The BlackBerry PlayBook costs $499, with 16GB and Wi-Fi, $599 for the 32GB version, while the 64GB version will be $699. I haven’t had the chance to get my hands on the PlayBook until now, but rest assured we will return with additional information as soon as it is available. So far we do know that BlackBerry intends to pring as many apps and features as possible from day one, so if you want to be up to date with the apps for the tablet, it’s probably best to just take a look at their facebook page.